Let me tell you about this year’s Oakland Athletics or Baltimore Orioles. No, before you hit the back button and run away screaming fan boy, this has nothing to do with moneyball, small market tactics or some sort of attack on traditional baseball. This has to do with finding the next team that will vastly out perform expectations and make a playoff run to inspire the hearts and minds of MLB fans everywhere…especially fans of this city’s team. PECOTA (one of the best accepted systems of projecting team records in all of baseball) said that the Baltimore Orioles would end the 2012 season with a 72-90 record and in the AL East cellar. Of course, we know that the Orioles finished with a 93-69 record, more than completely flipping their W-L, and earned a Wild Card playoff berth. Then the Oakland Athletics, tabbed for a 73-89 record, finished in first in the AL West with a 94-68 record, again flipping their win-loss and beating it by 5 more games. The Chicago White Sox also out played their PECOTA projection by a fair amount, but ultimately failed to capitalize on their season when they missed the playoffs. PECOTA has never been advertised as perfect, but it is a great starting point and generally gets the teams right to a point and more importantly, gets the standings mostly correct. These two examples can be attributed to be many factors; rookies grossly over playing expectations, mid-season trades, career years by established players, but all of these things are risks when projecting a 162-game schedule. Ultimately, I trust PECOTA, but the disagreement is the majority of the fun isn’t it? Who is going to flip their PECOTA W-L on its head this year? Team X featured an absolute revolving door on the mound, both starting and relieving. They trotted out 30 DIFFERENT pitchers during the season. The MLB average was 22, and 30 was the highest amount of pitchers in this team’s respective league. This was because of a combination of injury, trade and ineffectiveness. Remember when looking at all these numbers that the league average pitcher in 2012 had a line resembling this; 3.96 ERA, 1.313 WHIP, 3.1 BB/9, 7.7 SO/9, 2.49 SO/BB. After finding themselves outside the playoff race this team traded away two above average pitchers who had ERAs of 3.67 and 3.38 on the season with both pitchers showing effective control of their pitches and still being able to miss bats; they both had a 2.64 and 2.94 SO/BB respectively. To replace those two pitchers, this team trotted out minor league regulars and two pitchers featuring ERAs above 6.00, definitive evidence of a bad pitcher no matter how you feel about ERA by itself. The relief pitching was no better as this team blew 21 saves on the season and had the lowest amount of holds in all of MLB with only 56, the championship Giants had 102. The relievers trotted out by Team X were a combination of promising young arms and minor league failed starters with decent stuff, but none were able to properly control their pitches. This was demonstrated perfectly by the team’s closer who had great stuff in striking out 11.7 batters/9 innings, but showed terrible control in walking 7.7 batters/9 innings. How can any team overcome such a terrible pitching situation on the season? The answer is that they can’t, but over the off-season, Team X has brought in a slew of new pitchers to fix their problems. None of the pitchers brought in are established aces, but depth will do wonders. Where this team only had 2 healthy “established” starting pitchers after the trade deadline, they are now featuring depth in the form of 7 signed pitchers that are established starters. This will help ease the problem of eventual injuries to the pitchers. The transition should be seamless and will help the team immensely in beating their PECOTA rankings. The closer situation is a bit more complicated, but Team X signed a new pitcher in the off-season to take over for the established closer once he is inevitably traded during the season. This new closer of the future has amazing stats in the “minors”, with a career 1.36 ERA, 1.028 WHIP and 12.4 K/9 with only 2.3 BB/9. Those are elite closer numbers and should bring them from 21 blown saves and only 56 holds to a much more manageable low teens blown saves. Taking away 8 blown saves would be a huge help to the W-L record of Team X. What can you say about a team that had the 5th youngest collection of batters in their league and showed a lot of plate discipline by striking out at almost exactly the league average. Young players will only develop a better eye at the plate and so having a young team strike out at the league average projects to improve in following years. More importantly, Team X was one of the most unlucky teams in MLB. They featured a BABIP (Batting Average on Balls In Play) of .286, the lowest in their league and the 5th lowest in MLB. This tells us that Team X was unlucky and when they made contact, they randomly over the course of the season did not get hits as often as almost every team in baseball. Finally the number of batters used again shows us how the injury bug bit this team. Team X used 53 different batters over the course of the season, which was highest among all teams in their league. The difference between leagues on this is obvious because of the designated hitter, but in comparing it only to their league, we can see that they had an unfortunate run of injury. Beyond just the natural progression of a young team of batters, the front office made moves to improve the batting. They got rid of borderline MLB talent that had low OBP (On-Base Percentage) and low SLG (Slugging). One such player hit .264/.308/.299. At first glance this seems to be at or close to average batter, .254/.318/.400, in the majors. However, the third number is SLG, which measures not only home runs, but how often the player gets extra base hits. When a player has a lower SLG than OBP, that implies that play is little better than a softball slap-hitter on his best days. Getting rid of players of his ilk and bringing in proper platoon players is essential in turning around the hitting. For example, Team X brought in two new outfielders to man the RF wall in their stadium. They are not particularly exciting players by themselves, but when platooned properly against right-handed and left-handed pitchers, we can expect them to bat a combined .260/.310/.461. An average contact hitter with power for 25+ HRs. This is a vast upgrade over a slap hitting speedster that hits .264 by beating out infield hits. The free agent signings aren’t the only sign of hope. When your best player is extremely young and coming off their first “bad” year, you can expect them to bounce back in a huge way. Team X’s best player hit .283/.323/.430 in 2012 at a premium defensive position. With modest increases at each stat, we could see a .310/.380/.500 line, borderline MVP player when position is accounted for. 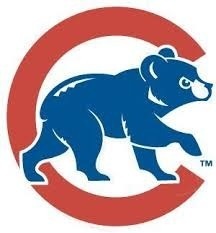 CHICAGO CUBS?! You must be kidding you say. This can’t be, the Cubs are rebuilding and have no chance of playing October baseball this year. Well, let’s be clear, you are probably right and I’m not even sure I believe anything I just told you. I kind of feel dirty just making the argument, but there are two things to remember here. Sports is unpredictable so the PECOTA projections are not set in stone. Also, stats can be made to say anything, any argument, any point can be proven by picking and choosing your stats carefully. Will Starlin Castro have a .310/.380/.500 batting line at shortstop this season? Ya, maybe. Will Nate Schierholtz and Scott Hairston combine to create an average, power hitting right fielder? Sure, why not? Will the additions of Scott Feldman, Scott Baker, Carlos Villanueva and Edwin Jackson bring this pitching staff from worst to average? Ya, I think so. But this team has a long way to go and PECOTA included these things in its projections. But here is to being a fan and always hoping, as Cubs fans are known for saying, this is the year.